I do not usually formally accept blogging “awards” I get nominated for. Firstly, because I can’t think of anything remotely witty to write as an “acceptance speech”, but I also find it difficult to pass on the “honour”. However, I’m accepting this nomination from 2Summers (see her post here) because it is different. I had been thinking of doing something similar already (i.e. picking my favourite posts from my archives and showcasing them in a post), and it is an award I feel comfortable passing on. My picks are from both this blog and my Notes from Africa Photoblog. One of the posts I picked was written by Willie in his role as “guest blogger”. I also have to give credit to my “roving reports” who often supply the information and photographs I use to write my posts. Earlier this year, Willie together with several family members and friends, undertook to hike the Otter Trail, one of the most challenging hiking trails in South Africa. On his return I badgered him into responding to some of the questions which my readers had asked. He not only wrote a witty, informative post, but the photographs which were taken by Wille, Theo van Zyl and Ian Bouwer showed the stunning beauty of this hiking trail along the South African Tsitsikamma coast. A post about blogging, and more specifically looking for that ultimate WordPress theme, has been hands down my most popular post. The response I got was overwhelming! Which shows that this is a topic which a lot of people are interested in, and spend a lot of time thinking and agonizing over. I was very happy to see that I’m not the only one who thinks that presentation matters. Obviously your blog content is key, but if it’s well and attractively presented, it will attract more attention. Although I didn’t get a lot of readers disagreeing with my views on this subject, it was the most controversial topic I have ever written about. I made a conscious decision when I started this blog, to keep it light-hearted. But there are some things I cannot ignore, and given my background in ecological research, I felt it time to speak up about something that upset me deeply. Namely the wholesale slaughter of sharks for their fins alone, to supply fins to particularly East Asia for their shark fin soup. During his trip to Pomene, Mozambique, Willie met up with a film crew making a documentary about shark fishing and finning in Mozambique. The most controversial posts as far as my readers are concerned was a post I wrote about the indoor-outdoor cat controversy called “What Your Cat Wants You To Know – Really?” and the subsequent response post (What Your Cat Wants You to Know: An American Ex-pat Perspective) which guest blogger 2Summers wrote for my blog. As anyone who reads this blog regularly will know, our pets are very important to me. They are my constant companions, and provide me with endless hours of amusement. So it was devastating when our young cat, Lucy, got sick and started fading away before our eyes. With our vets initially struggling to make a diagnosis, she was literally starving to death. Then a breakthrough came – Lucy was diagnosed and treated for Inflammatory Bowel Disease (or IBD) – and she started to improve steadily. This is a disease that is being diagnosed more and more frequently in both cats and dogs. I hoped that by writing this post, I would save some other pet owner the heartache of watching their pet deteriorate. And to give those who have pets with IBD the hope that, although it is a condition which cannot be cured, it can be controlled successfully. Lucy during a current more chubby phase - more leopard, than cheetah-like. I have several posts which fall into this category – mostly found by people searching for something completely different! This is the one though where people found exactly what they were looking for! Together with its companion piece Loo With A View it takes a light-hearted look at a very serious topic! What do tree surgeons do on their day off? I’m sure everybody climbed trees when they were children (and cats do it all the time!). When though, as adults, do we climb trees without looking and feeling slightly ridiculous? Well, these guys do it – and they look extremely cool doing it. Plus, it looks like loads of fun! 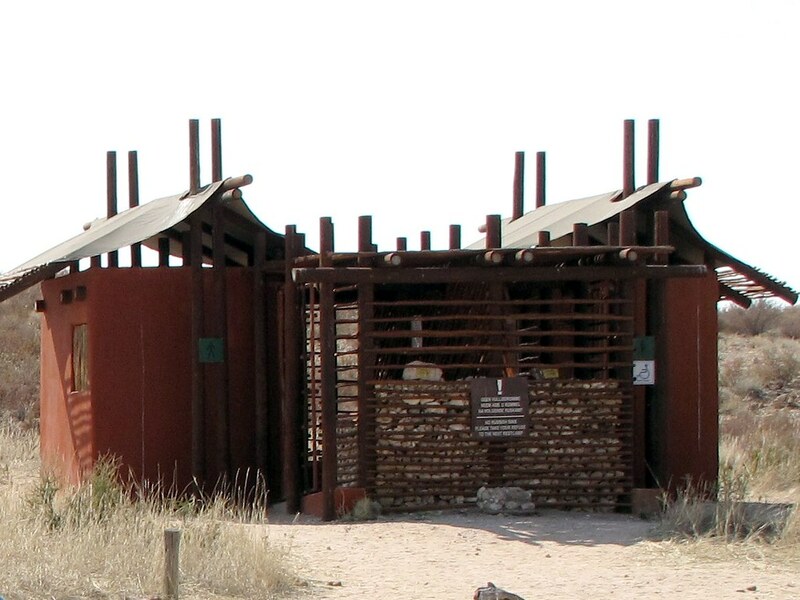 The series of post I did on our 2008 and 2009 trips to the Kalahari (see The Kalahari Series), are my personal favourites. And of those posts, the one I did of African Wild Cats is particularly special to me. Firstly because I like cats of all sizes, but it’s the Little Cats (including Caracal, African Wild Cats, and Black-footed Cats) which are the true gems. Rarely seen, I really believe they only let you see them if they want you to. 5) The Wanderer – Ellen lives in Buenos Aires, Argentina, and hates Mondays. With such a passion she writes about hating Mondays a lot! But she also takes really cool trips to exotic places like the rain forests, salt pans and deserts in South America. ← The ultimate WordPress theme is out there – the quest continues . . . Fantastic 7 Links post! Looks like you enjoyed doing this as much as I did. I also love your Kalahari cats post most of all — I think it was one of the first posts by you that I ever read. I loved doing this post! It was such fun to look through my archives and narrow down the list. I asked Willie to help, and interestingly we came up with an almost identical list. Shows how well he knows my blog! And I forgot to say thank you for nominating me for the 7 Links Award! PS: I’d forgotten how absolutely breathtaking those Otter Trail photos are. Wow. 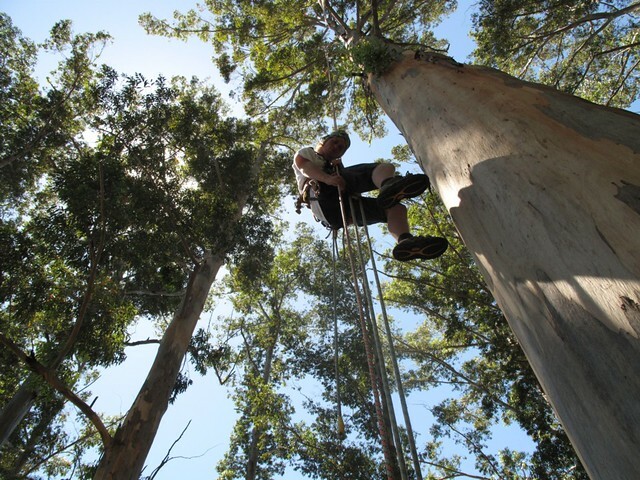 Same with the tree-climbing pics. I think I am a bit like you – I can’t think of witty acceptance speeches! – BUT, thank you nevertheless for nominating me for the 7 links award 🙂 I think that of all the awards that are out there, this is by far the best concept. It’s interesting to see how people perceive their own blog, posts & interests. I think that I have read most of your posts that you list in your 7 – there’s a couple that have managed to escape my attention, so I’ll get on to that right away! PS – but i guess that it doesn’t have to be 7 bloggers anyway…? Yes you’re right, it is very interesting to see what posts bloggers pick for each category. I have put a link to this post in my “About me” page, so that any new readers can see what I think are my best posts. I nominated 5 bloggers, but I don’t think there’s a particular number you have to pick. Great idea to put the 7Links post on your About page. I’m stealing that! It is a great idea, isn’t it?! 😉 I wish all bloggers put up a list of their personal favourites/best posts. I have enjoyed all the posts you have mentioned and I will go back and reread some of the older ones. I have recently signed up for Lu’s blog and look forward to following her adventures. I will also check out the others – thanks for the links. Thanks! Damn, I knew I had forgotten somebody. Would you please accept a 7 Links nomination too. I’m going to edit my post now, to include your blog. I must admit that Africa was way down on my “must see” list until I started reading your blog. I now have a list of “must sees” in South Africa specifically- thanks to you opening my eyes through your words and pictures. Thanks for the insight- and the nomination! Thanks so much, Lisa. I’m honored and will do my acceptance post next week. I will indeed include some Vietnam posts. I’ve not read your “Little Cats” post–can’t wait to check it out! Thanks again, Lisa, and thanks to Heather, as well, for nominating you and getting us all going in this direction. I’m looking forward to seeing your 7links post. It’s always interesting to see what people pick as their own personal favourites. Hello Lisa! Thank you…I feel so honored to be mentioned! I’ve just subscribed as well to the above blogs because I love reading other people’s blogs! I am always looking for new ones to follow so thank you. I also like the idea of your post today. It brings back excellent posts you wrote (which are sometimes hard to find in the depth of a blog…one thing I don’t like about blogging) and also introduced your readers to new bloggers. Thanks again! I love your blog!!!! Thank you and you’re welcome! You seem a little surprised to have been chosen? Out of all the posts you mentioned I loved the climbing tree one and the otter trail one the best. I also seem to have missed the cat post though so i will go and see it right now. Your awardees look very interesting and right up my street so I will pop over to their blogs to have a look. Since I decided not to nominate any South African bloggers this time, I think I’ll do a post of all the South African bloggers I follow. Maybe start a South African 7links? It is great to catch up on some of your older posts. I’m sure your not surprised to hear that I enjoyed reading about the Kalahari Little Cats. 🙂 I should also mention how much I loved the photos in the Otter Trail post. I’m also going to check out some of the other bloggers you recommended. Thanks Jackie! Those two posts seem to be the favourites of the ones I picked out of my archives. Yes, do go and check out the other bloggers – I think you would enjoy their blogs. My friend Robin, over at “Life in the Bogs,” has a post with stunning spider web photos I thought you might enjoy! Thanks for letting me know about this, Kathy! As you say those spider webs are stunning! Lisa, you always give me SO much to think about and explore, I am in danger of never getting to write on my own blog!! First, your blog looks so beautiful, I’m drowning in envy. Second, I LOVED the long post on the Otters hike — it was fabulous!! (as was your little cats post) I can’t wait to go and see what other treasures I’m missing in your 7 links … but I have to get cracking on my own — to see if I can copy you and insert a photo in my Latest Posts widget. I love that!! Thanks for the splendid blog — and you deserve ANY award you get! Thanks for looking back in my archives! Yes, that Otter Trail post is one of my favourites too. The scenery there is absolutely stunning.